Free workshop for singers and musicians led by Carol Bowns, musical director of Kaleidoscope Community Choir and the Tideswel Singers. Organised by Buxton Festival Fringe. All voices and instruments are welcome. 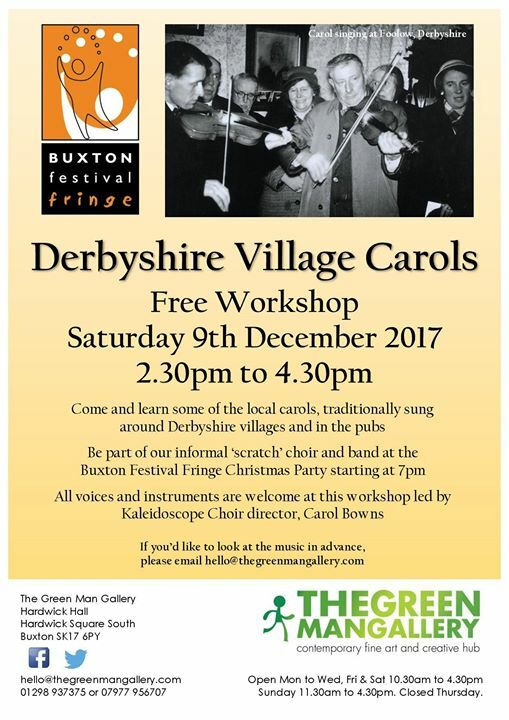 Learn some of the carols traditionally sung around Derbyshire villages and form a ‘scratch choir for a communal sing at the Fringe Christmas Party in the evening (7pm to 9.30pm). Workshop 2.30pm to 4.30pm. Contact hello@thegreenmangallery.com for further information.